ShelterLogic pulled out all the stops for their new line of snow load-rated ShelterTube portable shelters. 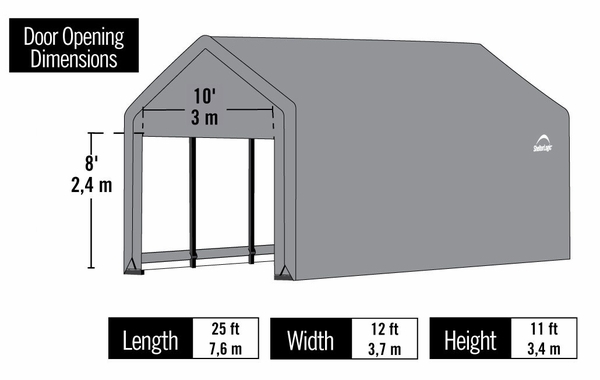 Combining a 15-gauge powdered steel frame with a triple-layer ripstop polyethylene covering, these incredibly tough portable shelters are ready to resist 80 mph winds and 43 psf of ground/snow cover (when used properly - refer to brochure and manual below.) Steel foot plates and RatchetTite cover ratchets bring additional security and durability. 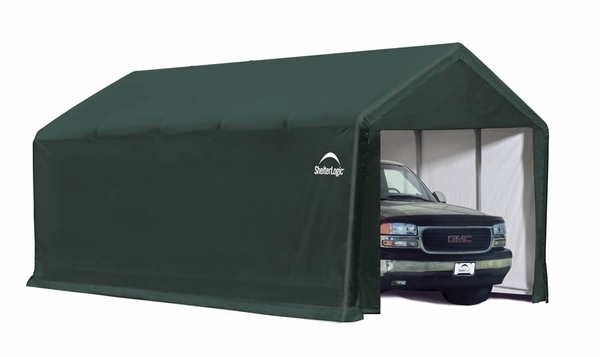 Trust your vehicles and equipment to the best shelter you can get - trust ShelterLogic. This portable shelter is also available in gray. * Please Note: Snow and wind load measurements are for reference purposes only. Loads are calculated using combined snow and wind load provisions in accordance with ASCE 7-05 using models that received secure anchoring. For effective snow and load capacity, all units should meet full compliance with local building codes. 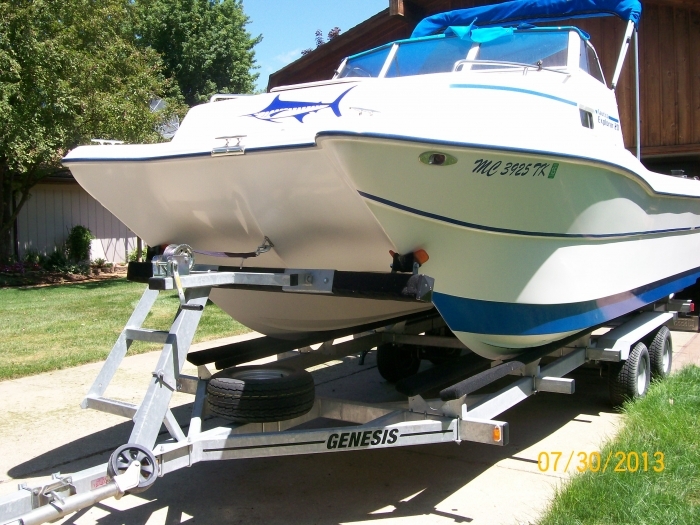 I would like to purchase a shelter for my 20' boat. I need at least 24' long and 12' wide for it to work well. However, the very top point of the windshield is 9' tall. This shelter has an 8' door. Is the shelter design such that I can manually lift the door to clear the 9' boat height? Should I consider the 12' x 24' units that have the 8'6" or 9' door height? (the description says 9' door height but the print says it's 8'6"). This unit would not allow for a full 12" of play in the gable end of the shelter. Comparing these shelters. it is clear that we do not list a unit with a door height of 9'. Our STL-74332 comes the closest with an entrance height of 8'10". Very good shelter lots of room for my boat and more ,easy set up .